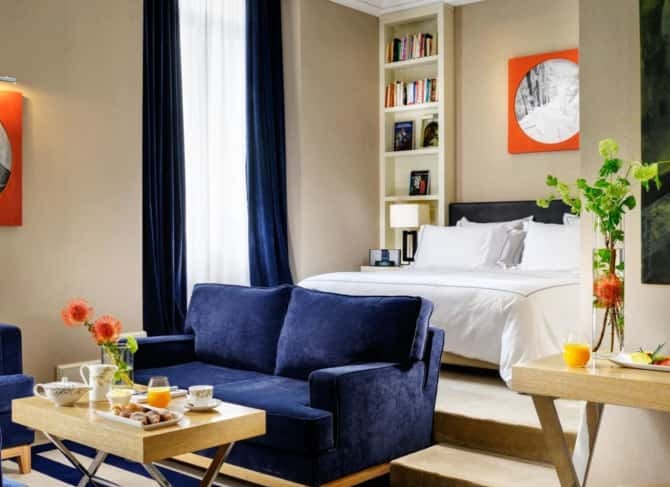 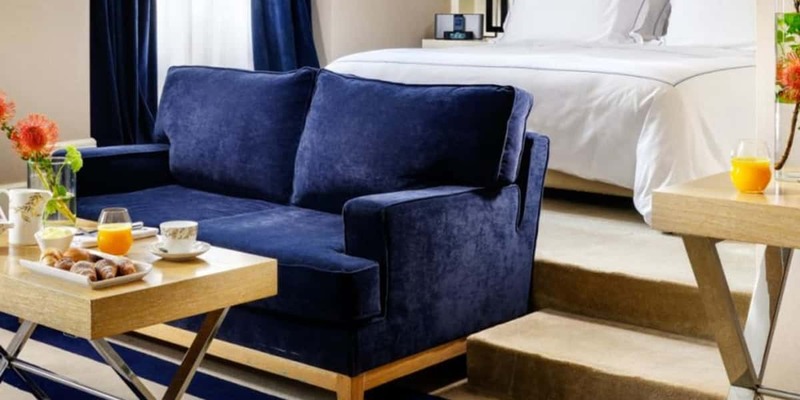 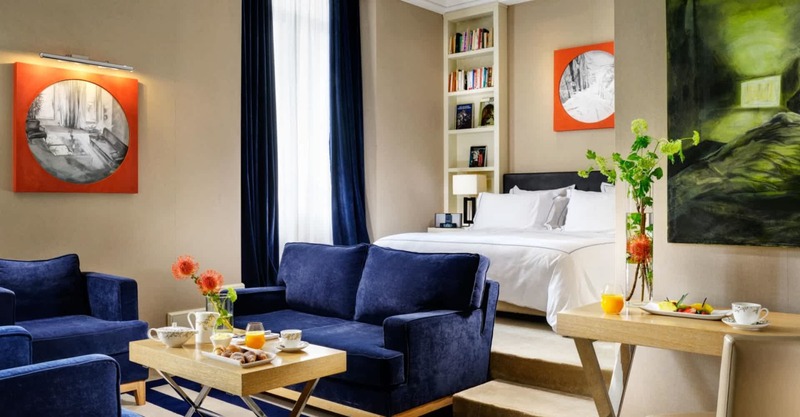 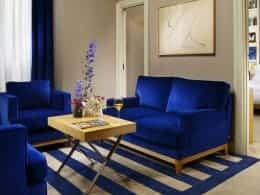 All our Junior Suites feature an inviting seating area with sofa and armchairs in rich blue velvet, two oak desks, and a king-size bed with upholstered leather headboard set in a unique lacquered wood library. 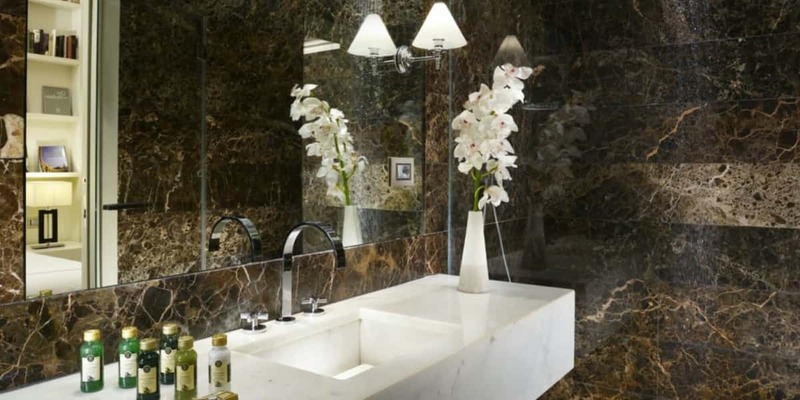 Contemporary design details and modern artworks are displayed throughout, and a luxurious bathroom made of Emperador marble adds a final touch of elegance. 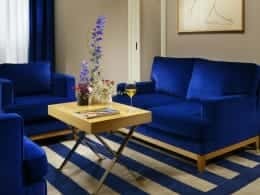 Some Junior Suites feature a decorative white marble fireplace.